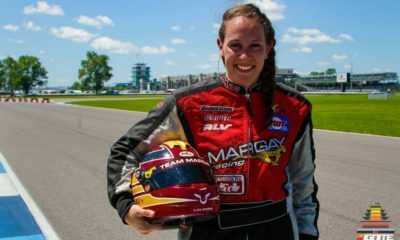 CKN Driver Blog: Charlotte Lalonde @ Battle at the Brickyard – CKN | CanadianKartingNews.com | Because Karting is a way of Life! 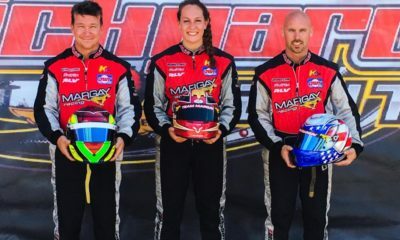 Charlotte Lalonde was the lone Canadian driver to take part in the inaugural Battle at the Brickyard, a sprint kart race that took place at the world famous Indianapolis Motor Speedway. It was a very successful weekend for the driver from Ottawa, Ontario who took part in the Ignite Challenge among nearly 50 competitors. 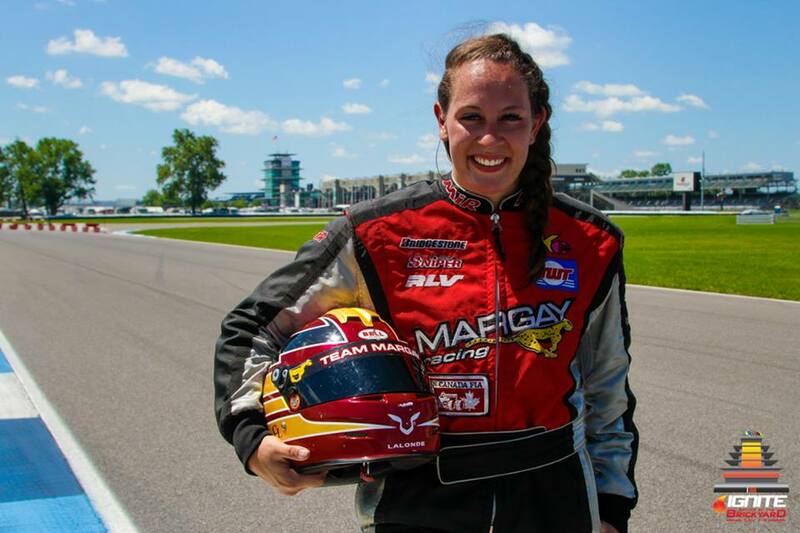 Recapping her experience exclusively for CKN, here is her driver blog. Going to the Brickyard was a pretty big deal for me, especially since it was my first race solo. My Dad was not able to make the trip down to Indianapolis since we had a club race at Le Circuit Quyon (Quyon, QC) on the Saturday. Not having my best friend/Coach/Tuner make the trip down with me definitely added some pressure to the whole weekend! 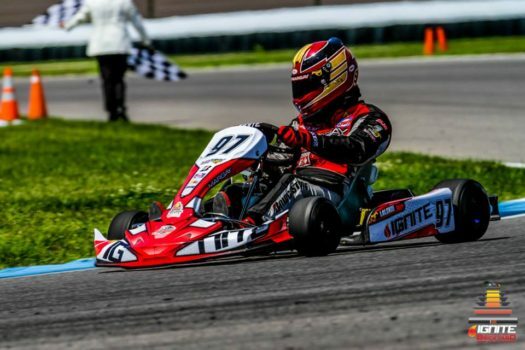 That being said, it was a huge learning experience since I was able to work with a different tuner, and learn mechanical aspects of the kart I had not been aware of before! I was also racing in the Margay Ignite Class, which is a spec class only consisting of Margay Ignite K3s matched with Briggs & Stratton LO206 power units. This really evens out the field, and puts the importance and spotlight on the driver and their abilities! 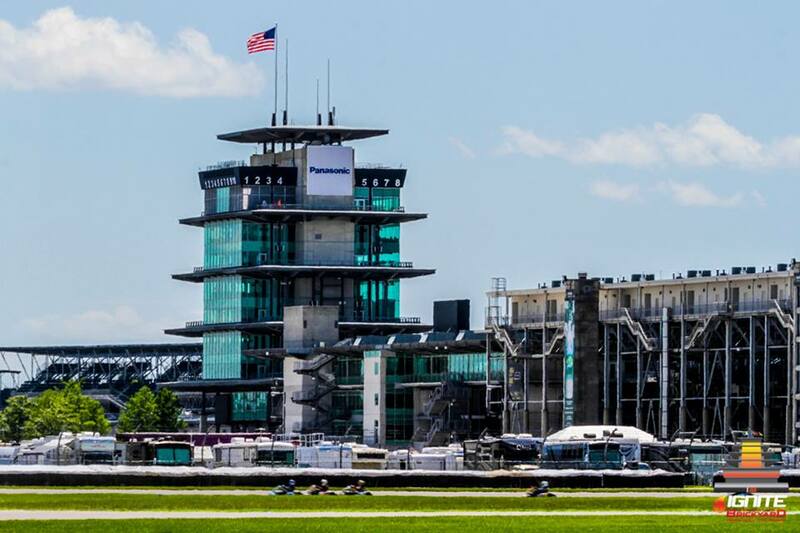 The karting track was located inside turn 4 of the historic Indianapolis Motor Speedway! The track itself was very fast, with a combination of mainly medium to high-speed sweeping corners and tight hairpins. Drafting was crucial in order to succeed. Overall, I found the track very intense, since it was lined with red and white barriers, which meant there was no margin for error. Practice day consisted of three short practice sessions, so I stayed back from the field to avoid wreckage, took my time to find the fast line and corners in which I could make passes. The track is located in Speedway, Indiana, just outside the State Capital of Indianapolis. Indianapolis is a very industrial city, but has a great central business district. The town has a lot of history and sightseeing, so it was pretty fun to walk around and explore the surroundings. Practice day was very upbeat and had a fast pace. Each session was around 6 minutes, so there was no time to relax once on the track. The three sessions ran very smoothly for me! I was able to stay within the top-10 in times all day, which gave me confidence that I had a really good chance to be up front come race-day. Qualifying went much better than anticipated. Settling in with a new drafting partner, and getting stuck in some traffic made me think that the session was no good, but luckily I qualified in sixth position! 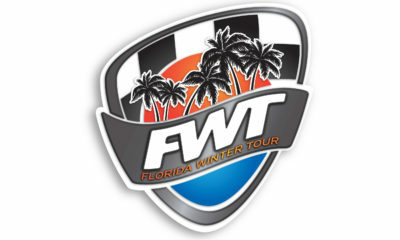 It was an awesome starting point for the weekend, since it wasn’t too far from the front, and in a field of 40+ competitors, my shot at a podium was within reach! At the start of the heat race I managed to move into third, and stayed there for the remaining laps. 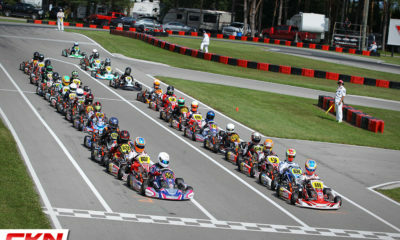 The top three karts were able to pull away from the rest of the pack, which made it an easy race. I stayed in third since it would put me on the inside lane for the pre-final. It was a perfect time to gauge my competition and construct a race plan for the remainder of the weekend. The pre-final also went according to plan! Again, I got a very clean start and pushed into second place. The racer in first place and I ended up battling with third and fourth. But in the end, I was able to secure the second spot for the final, which would be held the following morning. We were very lucky with the weather on Saturday. It was fairly hot, but not unbearable! The weather also was the perfect temperature for racing as the track was neither too grippy nor slick. The whole weekend was perfect racing weather. We were never overly stressed or felt the need to gamble on set-up; we barely made any changes all weekend! Sunday – Coming Out on Top! So far the weekend had been in my favour. 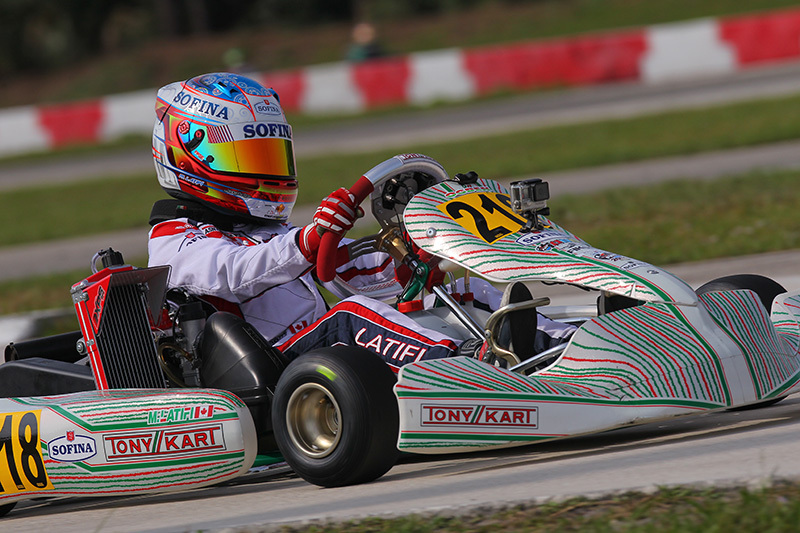 We had not made any major changes to the kart, since I felt we had a found a good set-up that didn’t need any changing. We mostly played with tire pressure according to the time of day we were on the track. That being said, nerves were beginning to rise since I was starting on the outside of the front row. Also, my weekend was going so well that I was prepared to face a little bit of bad luck, but was really hoping everything would come together in the final! Back home in Canada, I always feel at a disadvantage when starting on the outside. Everyone on the inside lane not only has the inside for the corner, but they are pushing one another which gives the outside racers no room to come in on the inside! 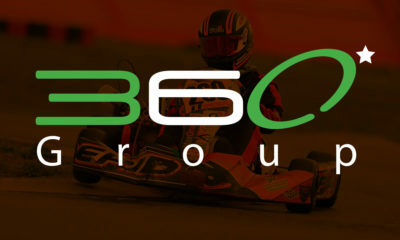 Up front, no one usually leaves a kart-sized gap to dart into the inside, which would put themselves at a disadvantage. 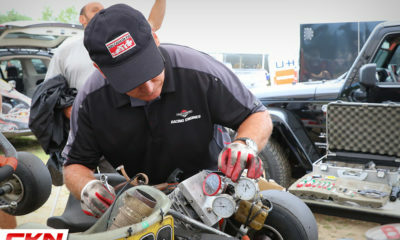 I feel this is where Briggs & Stratton racing differs between countries. 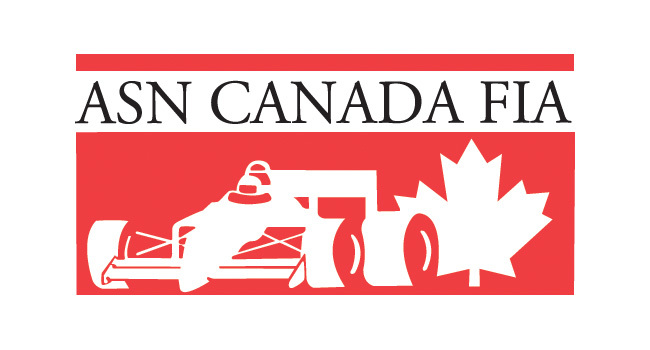 The racing in Canada is much tighter, and I find there is much more pushing and passing. In the USA, the racers are more cautious on the first lap and corner 1, and give each other much more racing room. Not that either is better than the other; however, it is interesting to note the difference in the racing style from one country to the other! The final fell into place perfectly! At the start, I was able to get myself into second position without any sort of mishap. This put me in the best spot at a shot for a podium – and even first place. The top four karts, me in second, began battling quite early in the race. I did not put up a huge fight because I knew I still had enough laps left, and also didn’t want any other karts to catch up to us. This then put me in fourth, so I passed #90, to get into third. My kart felt so hooked up and was only getting faster as the race continued! I then went in for second place in the hairpin on lap seven when we got to the half-way mark. 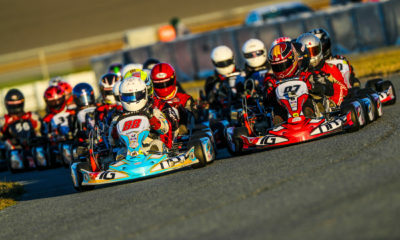 The competitors in third and fourth place began battling which helped me and the karter in the lead create a sizeable gap. With only two laps to go, I went on the inside of the racer in first in the hairpin, and successfully came out on top. I knew I was much faster and was able to keep the lead for the remaining laps. When I came out on top at the checkered I was so enthused! I couldn’t believe it. I was so happy, but at the same time sad that my Dad was not there to celebrate with me. As soon as I got out of the kart, I called my parents who had been watching from the live Facebook feed. A huge thanks to Greg Dingess and Keith Freber from Margay for all the help throughout the weekend and for developing the Margay Ignite Class. Also, I would never be where I am today if it wasn’t for my parents, who have supported through my whole racing career, and have sacrificed so much for my racing dreams. 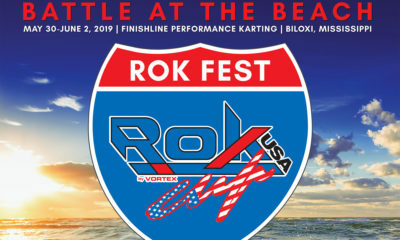 A big thanks to the United States Automobile Club (USAC) for putting on this event – it was a great success! Finally, big thanks to CanadianKartingNews.com and Crawford Kilpatrick for giving me the opportunity to share my experience with the CKN Nation! 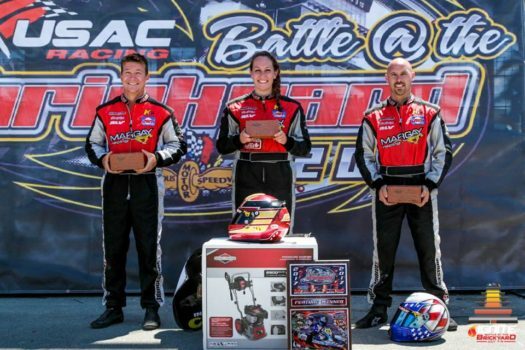 New Ron Fellows National Championship Briggs 206 Champions Will Earn Epic Prizes in 2018!